The United Nations Space Command (UNSC) is the military, exploratory, and scientific agency of the United Earth Government. The UNSC was formed in the 2160's, during a period where remnants of old cultural ideologies clashed for supremacy in the Sol System. The UNSC served mainly as an overseer of United Nations military operations in space. After initiating massive militarization propaganda throughout its off-world colonies, through the UNSC, the UN defeated Communist and Fascist forces in a conflict generally known as the "Interplanetary War", which consisted of several side-battles that took place on Mars, the Jovian Moons and the South American rain forests. Although the Interplanetary War brought a great deal of suffering to both the colonial population and the residents of Earth, it also united humanity's military forces into a common armed force by the end of the 22nd century. Prior to the Covenant's attack on Harvest in 2525, humanity was in chaos, fighting in multiple fronts, on planets, against a group known as the Insurrectionists who wanted independence from the UEG government. The UNSC, more specifically, the UNSCDF, constantly battled against the Insurrectionists. In an attempt to help end the long running war against the Insurrectionists and rebels, the UEG commissioned the SPARTAN-II Project, which created elite super-soldiers to combat separatists and the insurrections they spawned. When the Covenant-Human War began and the alien invaders began decimating the Outer Colonies, these Spartans became humanity's best hope against the technological superiority of the aliens. 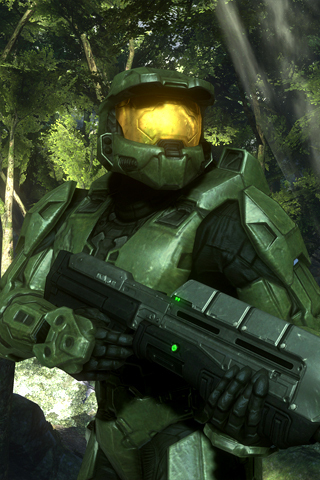 When the war began, the UNSC truly became humanity's greatest (and arguably only) defender. This fact allowed the UNSC to override civilian rule and establish itself as humanity's primary government. Although the United Earth Government was more open to step down, the Colonial Administration, the arm of the UEG ruling over the colonies, resisted the UNSC's rise to power, and was thus stripped of its power. By 2552 A.D., Earth was the last remaining major Human bastion; and fell under attack by Covenant forces. The Human-Covenant War finally came to an end after a UNSC and Covenant Separatists force eliminated the Covenant leadership and destroyed the Flood threat. By the time the war began, humanity, and thus the UNSC, had reached Tier 3 of the Forerunner civilization achievement rank system. Humanity’s rank continued to rise due to the capture of Covenant technology and equipment, which was studied and adapted for human needs. The very best and cutting edge of UNSC equipment was supplied to the SPARTAN-II Project. One such example of imitative human technology is the energy shielding adapted for use on the MJOLNIR armor. During the First and Second Battle of Earth, the UNSC fought the Covenant Loyalists on Earth to prevent humanity's extinction, and eventually won their right to survive thanks to an alliance with the Covenant Separatists.